A Spookacular Halloween With Disney Junior Canada & Contest! Colourful: Ontario In Early Autumn! 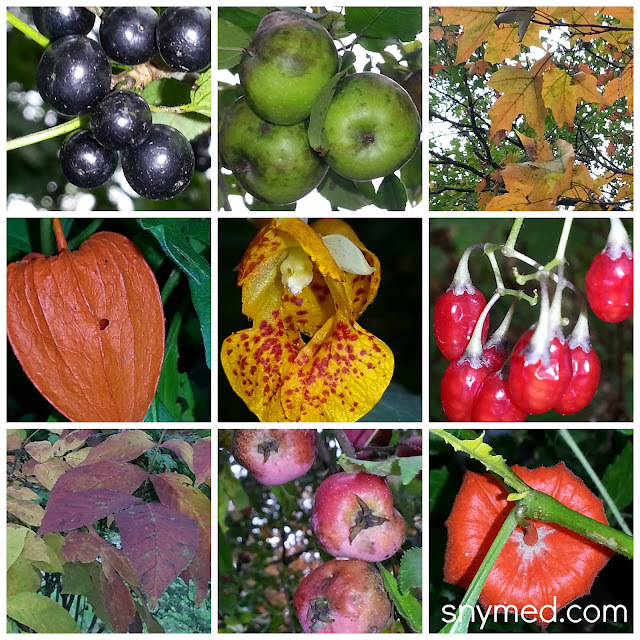 My family loves the beauty and bounty that fall holds: the colourful, changing leaves; wild berries; late flowers; apples; pumpkins; squash and more. We live close to nature trails and take in the autumn scenery as we bicycle ride together or stroll through the ravine. I love that the weather is crisp, not cold, and there are less insects than in the warmer months. October means Halloween to my children: picking a pumpkin, decorating our home, finding the right Halloween costume, watching Halloween movies, and trick-or-treating with friends to collect candy. 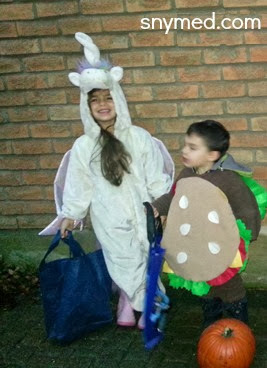 My kids actually started some of their Halloween activities in September, that's how keen they are about Halloween! As an adult, I savour Halloween night with the kids, and love how the entire neighbourhood comes together to put on a fun and spooky night for the all the children. I'll never tire of gazing at homes elaborately decorated with pretend spiderwebs, spiders, skeletons, witches, tombstones, ghosts, monsters, and zombies. I love the eery lighting and haunting music as the kids go door-to-door! A Disney Junior Canada Halloween: Weeknights at 6pm EST! To ring in Halloween, Disney Junior Canada will have special Halloween programming weeknights at 6:00pm EST all month long! That's Spooktacular! In addition, there will be brand new episodes of Jake and the Never Land Pirates, Henry Hugglemonster, Sofia the First, Bananas in Pyjamas and Stella and Sam! Your kidlets can also enjoy other classic favourites from these and other Disney Junior Canada series'! Two Days of BOO: Oct 30th & 31st! And if weeknight Halloween programming from Disney Junior Canada isn't enough to "haunt" you, tune in on October 30th and 31st for ALL DAY Halloween episodes! Grab the kidlets, some healthy snacks and a cozy blanket, and get ready for a Disney Junior Canada Spook-a-thon! 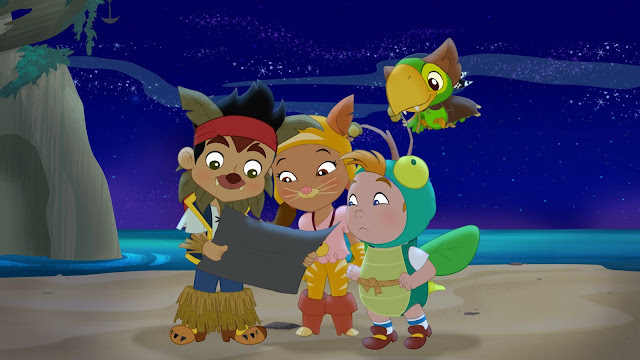 Enjoy Great Halloween Programming on Disney Junior Canada! Halloween Activities Disney Junior Canada Style! Join the Big Halloween Party section on Disney Junior Canada's website for "ghostly" Halloween games, "chilling" crafts, and "scary" colouring pages. There's Halloween activities with Mickey and Minnie Mouse, Jake and the Neverland Pirates, Doc McStuffins, Imagination Movers, Jungle Junction, and more! Also find great Disney Junior Canada pumpkin templates of your favourite characters! Enter Disney Junior Canada's Princesses & Heroes Contest! WOOT! Disney Junior Canada has a great new Princess and Heroes contest! WIN a trip to Toronto to enjoy the Disney on Ice: Princesses & Heroes show, and a $1000 shopping spree! Click here for contest rules & regulations! -Round-trip flights for a family (of up to 4)! -2-night's hotel stay for a family (of up to 4)! 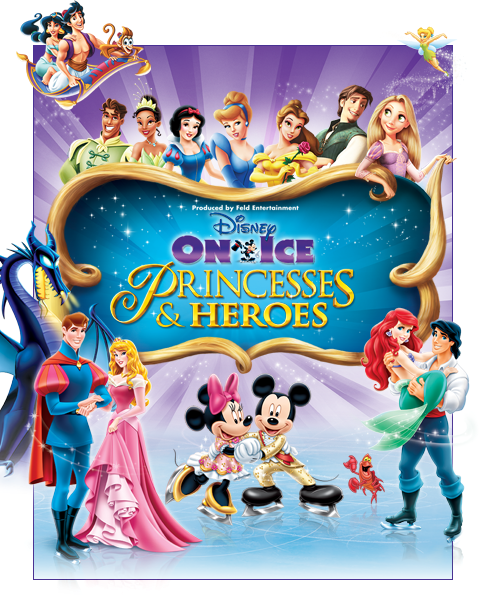 -4 rink-side seats to experience Disney on Ice Presents Princesses & Heroes! -WOW! A $1000 Disney Store shopping spree extravaganza, fit for a Princess and/or a Hero! ENTER THE DISNEY JUNIOR PRINCESSES & HEROES CONTEST HERE! If you haven't taken your child or grandchild to a Disney on Ice show yet, then you're really missing out on a magical experience! The skating, costumes, music and atmosphere are just terrific! Last year we took all 5 of our kids to see Disney on Ice: Worlds of Fantasy and Disney on Ice: Rockin' Ever After and they LOVED the show! at Disney on Ice: Rockin' Ever After! 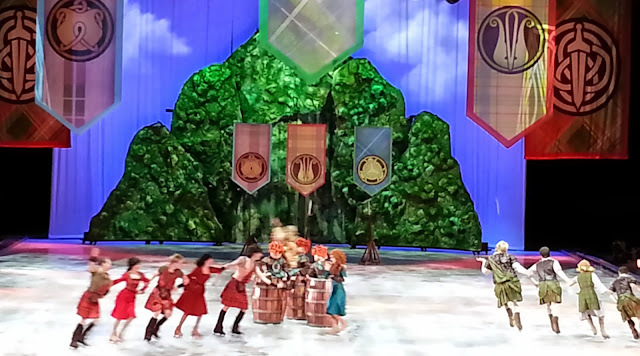 My kids were thrilled to see all of their favourite Disney characters on ice and were mesmerized. Although the show was brand new to them, the kids were familiar with the different stories and music. Even my littlest guy (2-years old at the time), could recognize quite a few of the Disney characters, and would shout their names out loud with delight. We are looking forward to attending the Disney on Ice: Princesses and Heroes show this winter! WOO-HOO! Do you celebrate Halloween with your family or community? Have you ever been to a Disney on Ice show before? Disclosure: I’m part of the Disney Junior Mom program and receive special perks as part of my affiliation with this group. The opinions on this blog are my own. What a fun contest! 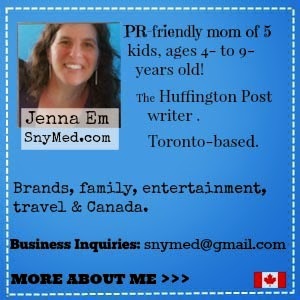 We love Disney Junior Canada programming! I admit I love Halloween too! And Halloween theme TV shows for the kids are great. I haven't been to an ice skating show since I was a kid. I'm sure my kids would love it! we love halloween! The greatest part of having kids, is you still get to partake in halloween!!! Disney on ice is awesome! I remeber going to these shows as a kid, and having a blast. The picture of the concord grapes up top left reminded me of my mom and dad. Mom passed away 4 yrs ago, almost to this day and they used their grapes for grape jelly and grape juice over the years. Since she passed we've sort of basically given them away until my sister gave some to a co worker who said she was going to make a pie with them. A concord grape pie? I had never heard of such a thing. So there were enough grapes left for my husband an I to pick and make a couple of grape pies out of. OMG they were fantastic! I never would have though of grapes and pie in the same sentence before, but if you get the chance, make a grape pie! I wish we had known to do that before my mom passed. Anne, I'm very sorry about your mom's passing. Both at this house and our previous one, we've had wild concord grapes growing into our backyard. At the last house, I boiled them and made grapejuice--it was phenomenal! I have never tried grape pie before, but for some reason I imagine it being sweet like blueberry pie! Wow! What a contest - that would be a dream come true to win. Love Halloween too - can't wait to take my boys out this year. Oh we have totally been watching the Halloween programs on Disney Jr too!